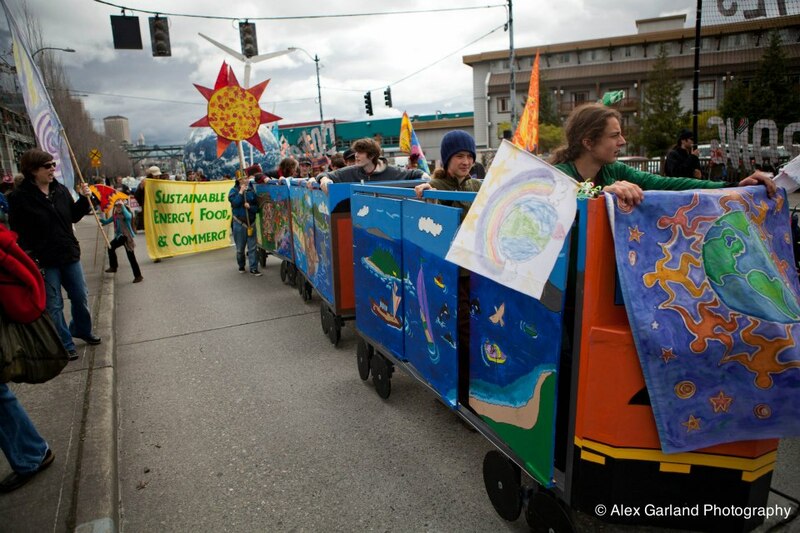 If you missed the first Art Build for Earth Day, Come out and make art with us for “Procession for our Future” the coal train vs. sustainable energy ensemble in the Fremont Summer Solstice Parade! We’ll be at the Powerhouse, 3940 Fremont Ave N. from 10-4 on Sunday, May 19th, making art. Please join us! 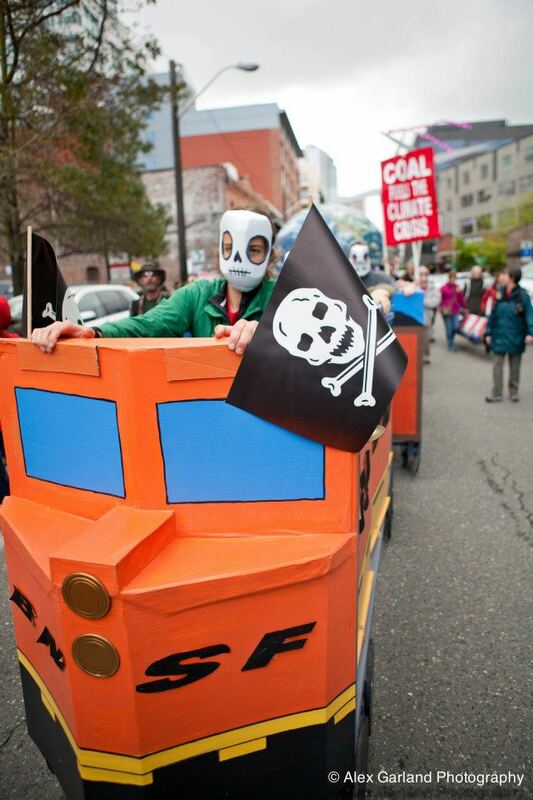 A coal train driven by skull masked people transforms into beautiful murals when we implore the Fremont Solstice Parade audience to help us stop it (photos above) There will be stilters with windmill headdresses, solar panel costumes, animal- masked- dressed-up kids of all ages, beautiful fluttering butterflies, flags and banners, herring and salmon puppets, a band, and more! 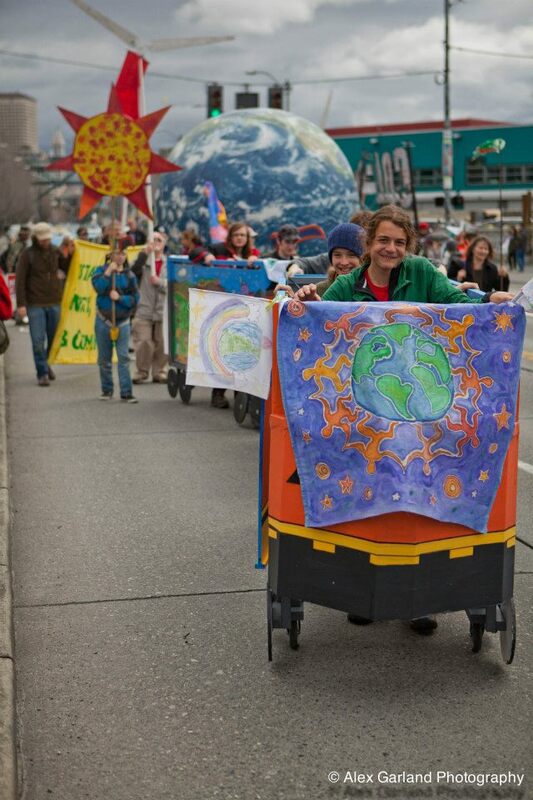 You and your families are welcome to join us to create more art and be in the Solstice parade! 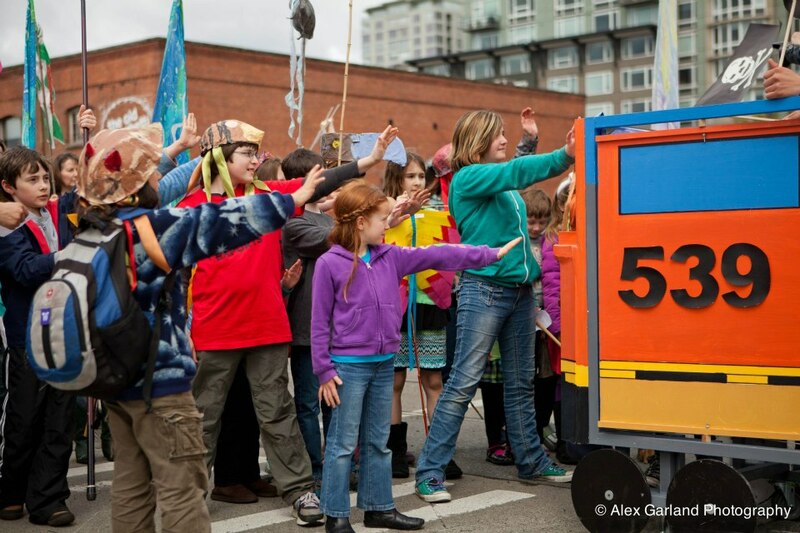 Sunday, May 19th, 10:00-4:00 Art Workshop at the Powerhouse: 3940 Fremont Ave N.
This ensemble is supported in part by a grant from the Fremont Arts Council to create costumes and props. Additional images are being supplied by the Backbone Campaign and local artists. Drop in to the art workshop any time, and stay as long as you’re having fun! Your artful contribution will be instrumental! Even if you can’t make it to the parade, please come make art with us! All ages of youth and adults are welcome! (Parents help your younger kids.) 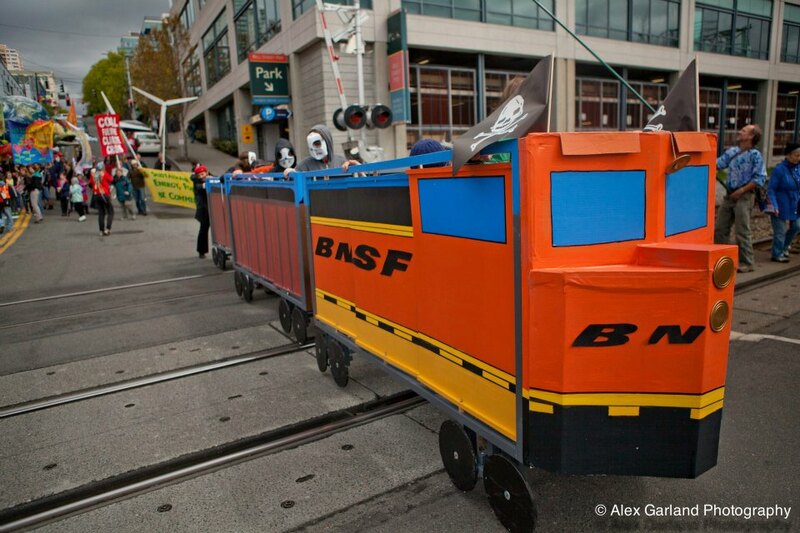 Make paper mache puppet masks (above), paint train wheels, make small flags with sun block prints, and a small banner and more flags with fabric crayons. Draw and paint the last train car panels and frames (continuing the mural above). 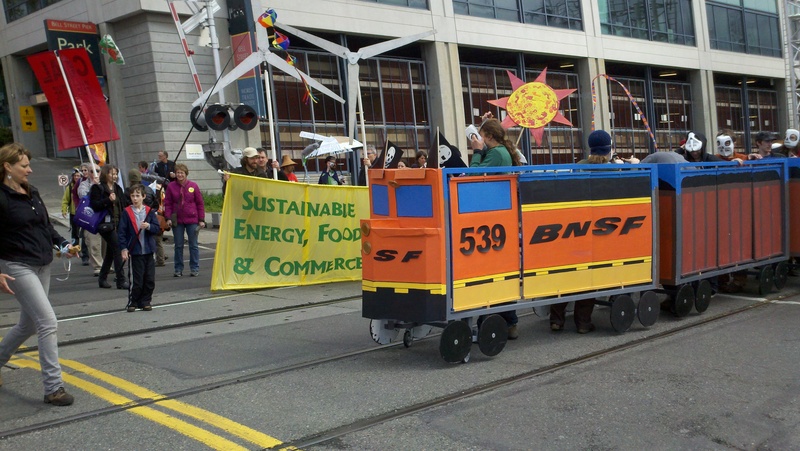 We can also work on sustainable energy costume options. We’ll expand outside in clear weather. what else do you have that might make great costumes or props? We’ll have a snack table so bring something to share! Hope to see you on Sunday, May 19th!